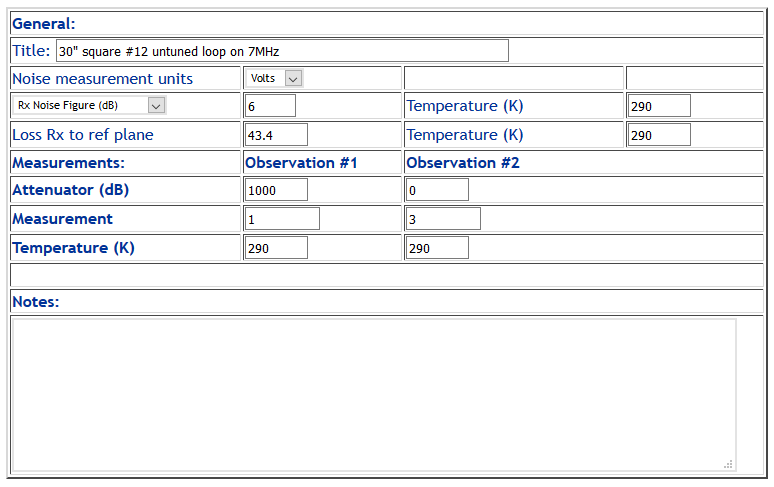 Ok, terminated in 50Ω, the untuned small loop has a gain of -43.4dBi. So, it captures only a very small portion of the external noise, but even so it delivers sufficient to the receiver to increase the output voltage by a factor of 3. 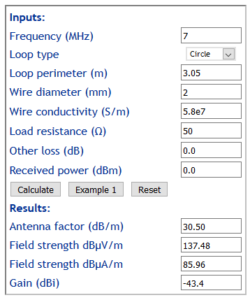 The noise floor of a 2kHz effective noise bandwidth receiver with noise figure of 6dB is -135dBm. The total noise equivalent input power with output voltage raised by a factor of 3 is -135+20log(3)=-125.5dBm. 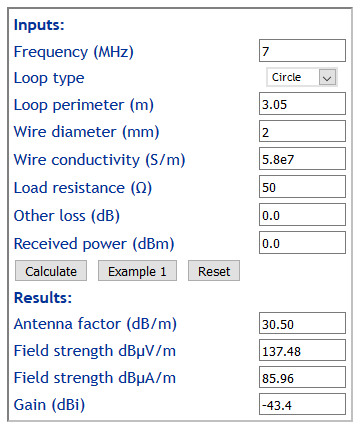 If we allow for the antenna gain of -43.4dBi, the receiver input power with a lossless isotropic antenna would be around -125.5–43.4=-82.1dBm which is about S7.5 on the common ham scale… so a quite high noise level. 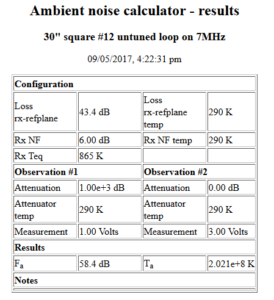 Lets use Ambient noise calculator to find the ambient noise. Above is the input form for the scenario. 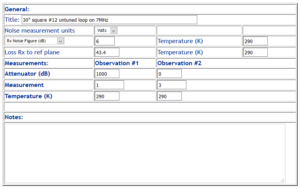 Above is the result, Fa is 58.4dB which turns out to be a pretty high noise level. 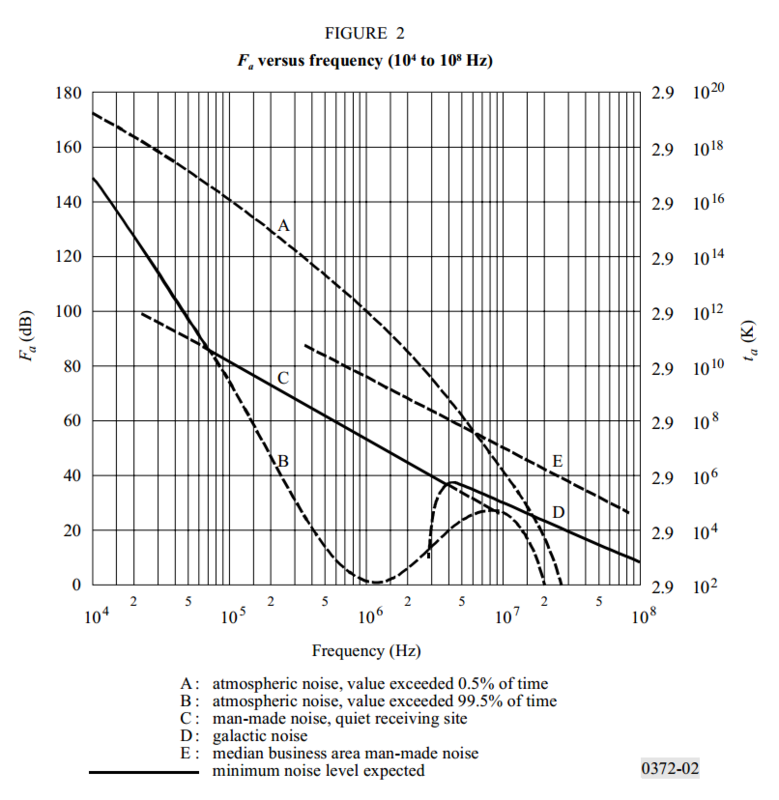 From the above chart (ITU-R P.372-12 (7/2015)), we can see that the predicted ambient noise figure Fa in business precincts is around 55dB, and at the lower limit, Galactic noise is about 35dB. So, the correspondent’s ambient noise is at the high end of expectations, indeed higher that you would expect in most residential areas so it begs the question whether there is some strong local noise source that can be reduced. 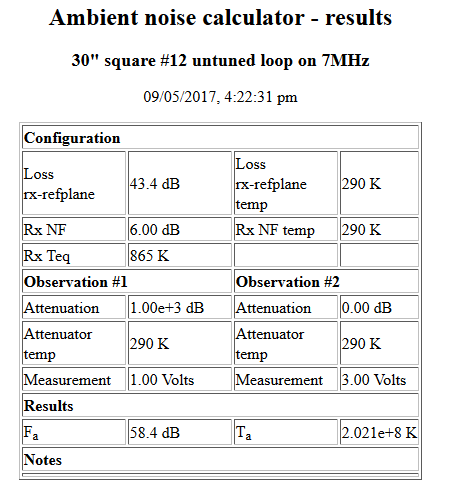 A small passive loop may be sufficient to achieve small S/N degradation on low HF bands in scenarios where the ambient noise level is high to extreme. If the passive loop is sufficient to obtain small S/N degradation, then an amplifier may well worsen things. 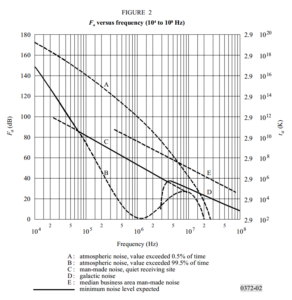 The real problem may be the quite high ambient noise level, and that may be resolveable.